“Do we speak about politics with our American colleagues? No, we don't touch upon these issues. Perhaps because we have too much work or these are delicate subjects. We are very similar to one another. I've never heard one negative comment. Only goodwill, jokes and professionalism. Art unites." 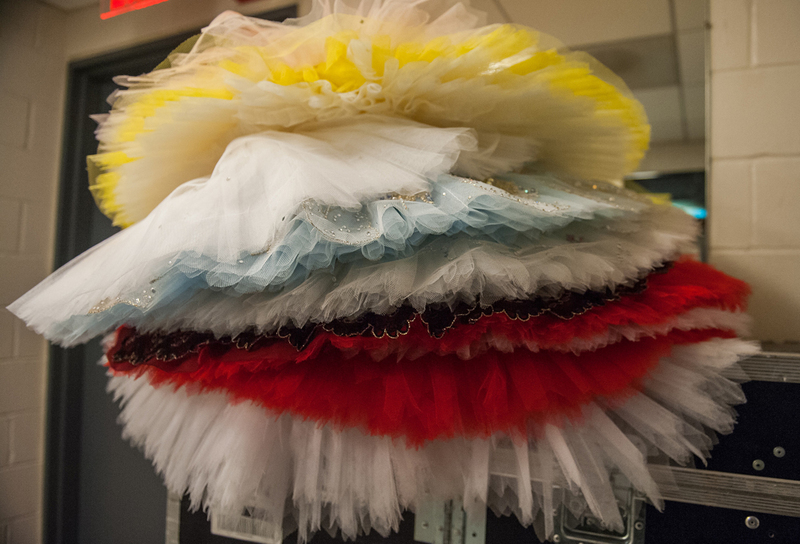 How are costumes made for the Bolshoi Theater dancers? RBTH spoke to Deputy Director of the Bolshoi's artistic costume division, about the costumes and decorations they used on its tour in New York. It was Simon Virsaladze who created the costumes and decorations for the Bolshoi Theater ballets Swan Lake and Spartacus. As he was creating the costumes for the performances, he had the performers put on the model's costumes and would look at them from the parterre. That is why there is such a difference in how Virsaladze's costumes look from up close and from afar. In most theaters nowadays, costumes are embellished with readymade accessories. After the sketches have been approved, the costume artist, his assistant and our theater's artistic technician start working hard. This is the first stage, in which the technology for making the costume is determined and the selection of colored fabrics is made. Lots of attention is given to the selection of fabrics for the costumes. 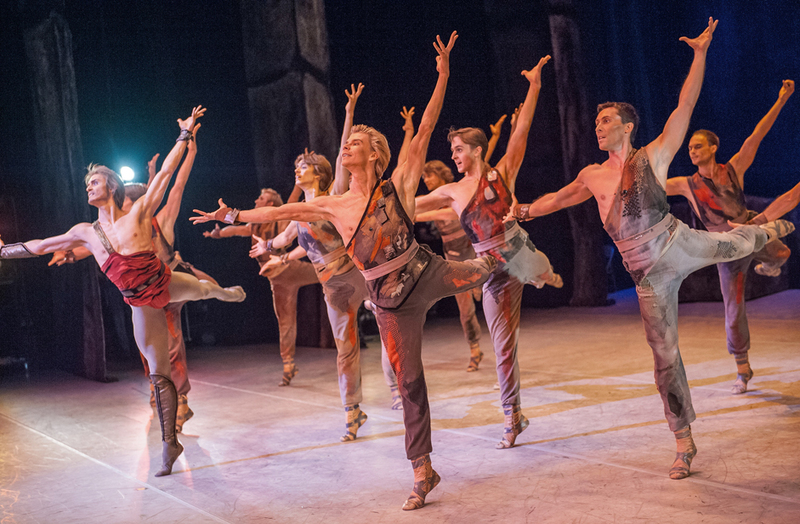 For example, for ballet they always try to select light fabrics, in which it is comfortable for the dancers to move. The second stage is the creation of the costumes themselves. Very often, during the creation of the costumes, it is necessary to make models (samples), on which lines are marked, proportions are determined and the freedom of movement is checked. 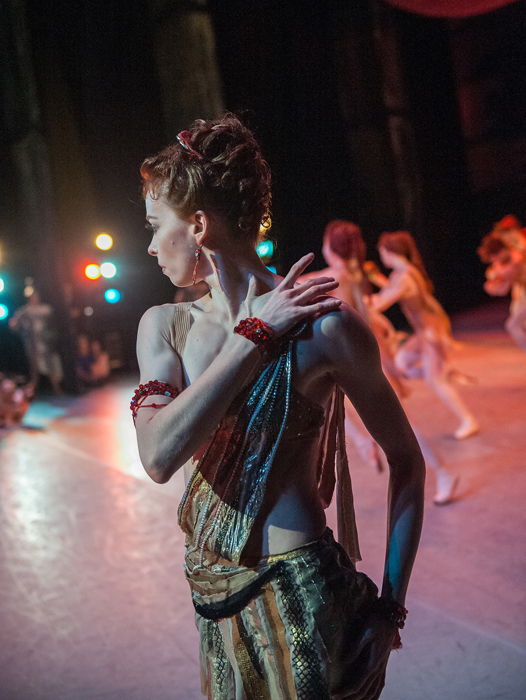 Every dancer has his costumes for the performance, costumes that are custom-made for a specific build, especially with soloists. 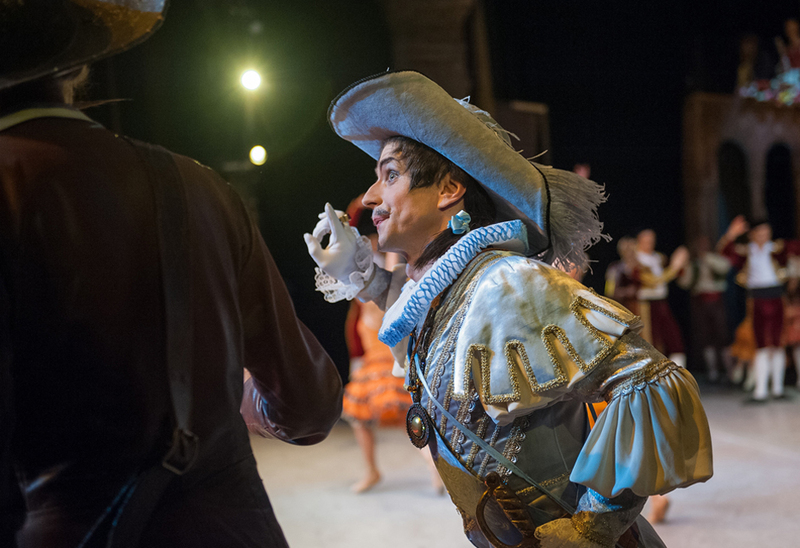 It sometimes happens that during fitting the dancers express their wishes for the costumes, and the artist takes note, especially when it concerns the principal dancers. The next stage is trying out the costume on stage. 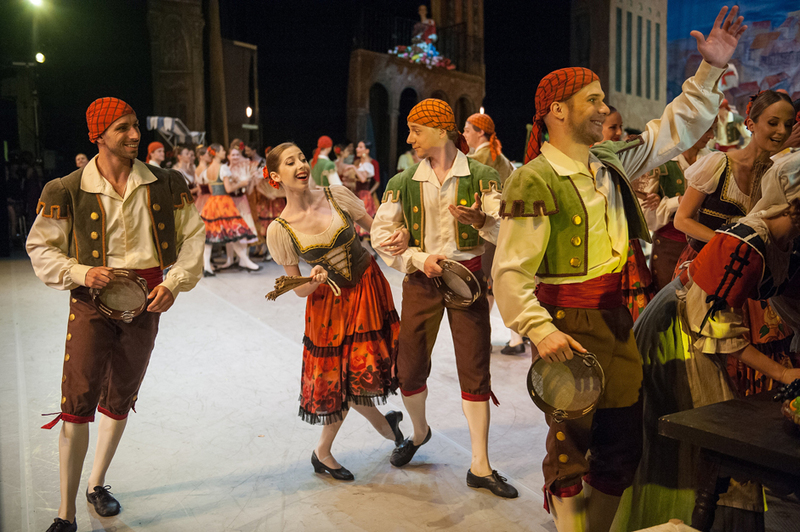 Before the general rehearsal, the costumes are tried out during regular rehearsals, in which the final touches are made. After the premiere the costumes come alive and function on their own. Costumes require certain maintenance and storage - a dry, ventilated place, without bright light, in a cool temperature, where there is no humidity. Costumes have various lifespans; it depends on many factors. Sometimes the artist chooses a fine fabric for the costume, which then needs to be mended and repaired after each performance. On average a costume can go through 20 performances. 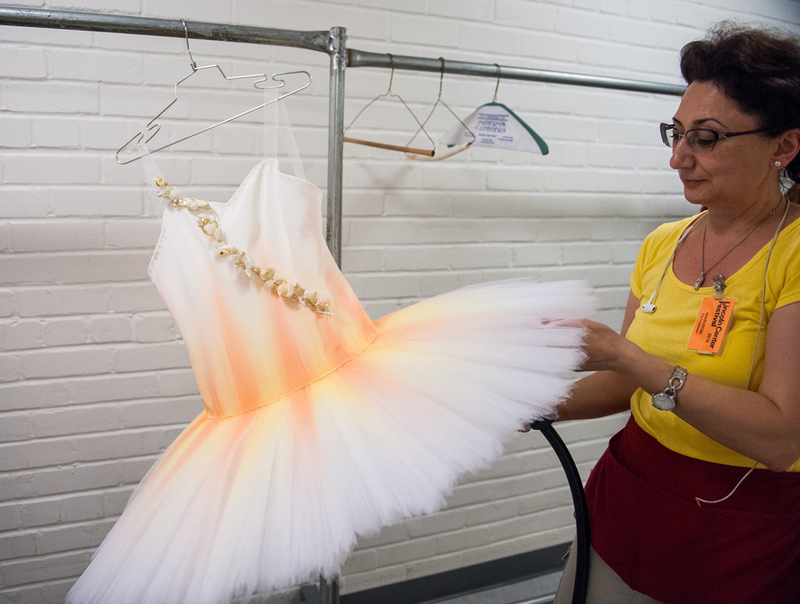 The Bolshoi has workshops not only dedicated to making costumes, shoes and headwear, to coloring textiles, artistic painting and embroidery, but for dry cleaning, ironing, laundry, and repair of costumes. 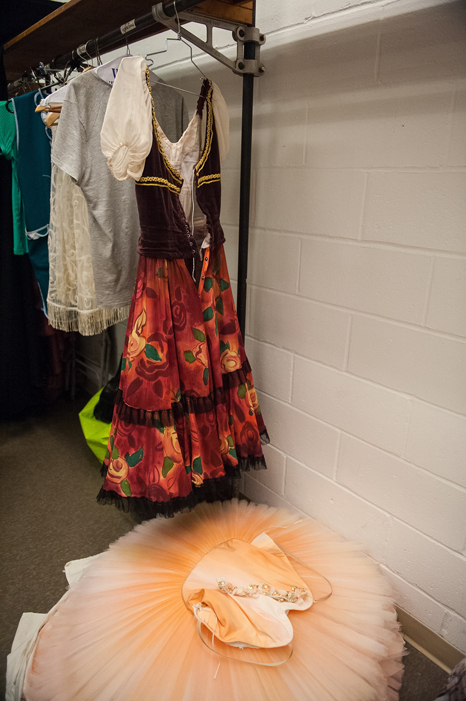 Costumes are put on 15 to 30 minutes before appearing on stage. It depends on the number of performers. For example, if 40 people need to be dressed, it requires more time. 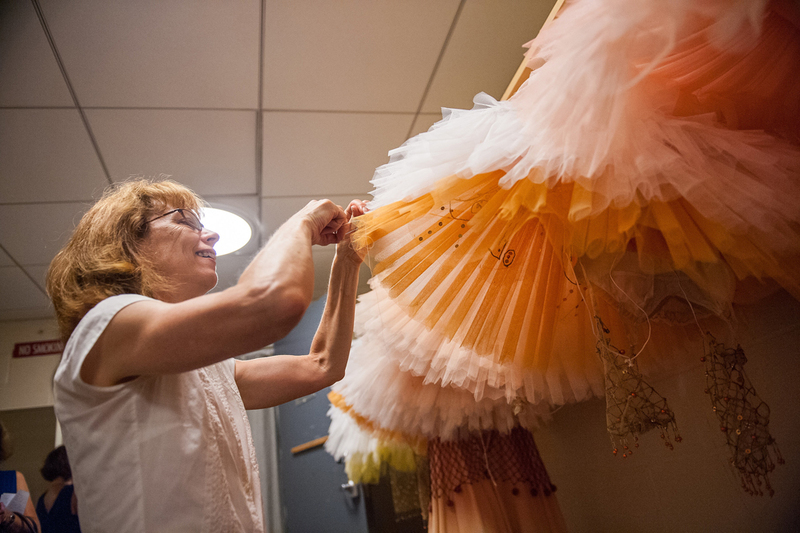 To be safe, the last touches to the ballerina's dress are made right before she goes on stage. Of course this creates additional complications while the dancers are dressing, since the costumes must first be undone. 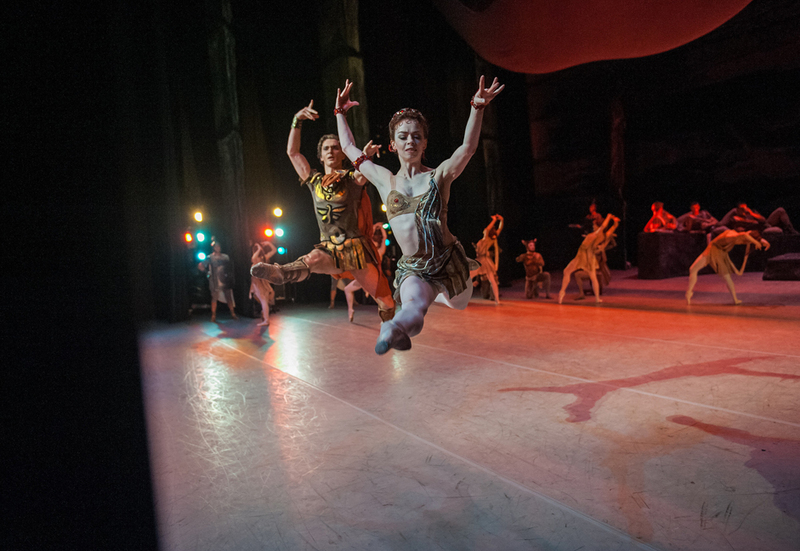 During the performance it often happens that the dancers have to change costumes quickly, especially if the plot requires it or if the dancer is playing multiple roles. Sometimes the dancer only has 40 seconds to change costumes and then reappear on stage. Even hairstyles, headwear and makeup must be changed. 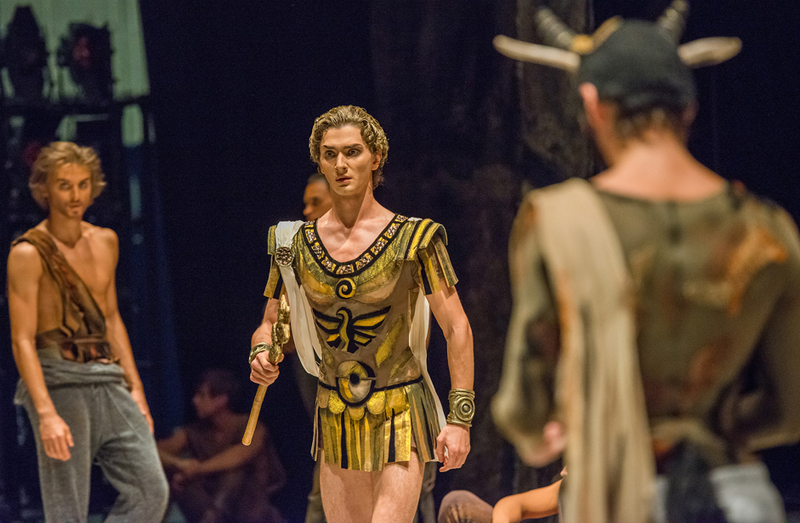 In the ballets Swan Lake and Spartacus there are many costume changes. All the dancers know this by heart and the music serves as a cue. "When the Bolshoi is on tour, we often have to rely on the staff of the hosting theater for costume maintenance and repair (from equipment to personnel). Sometimes there are changes to the female or male rosters upon arrival. The clasps need changing, costumes have to be readapted and redone. Before the Bolshoi actually goes on tour, its representatives are sent to check the stage, the makeup rooms, to check if the decorations will fit, etc. 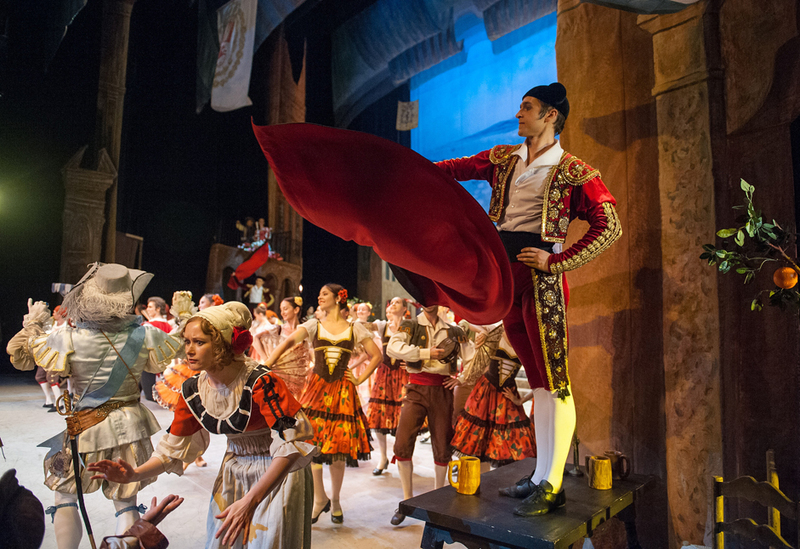 More than 200 costumes are used for each performance. They must be taken out, hung up, and put in order. The same with the headwear. Each costume has its own particular headwear. For all presentations and tours the costume and makeup artists must thoroughly know the production, the music and the performers. 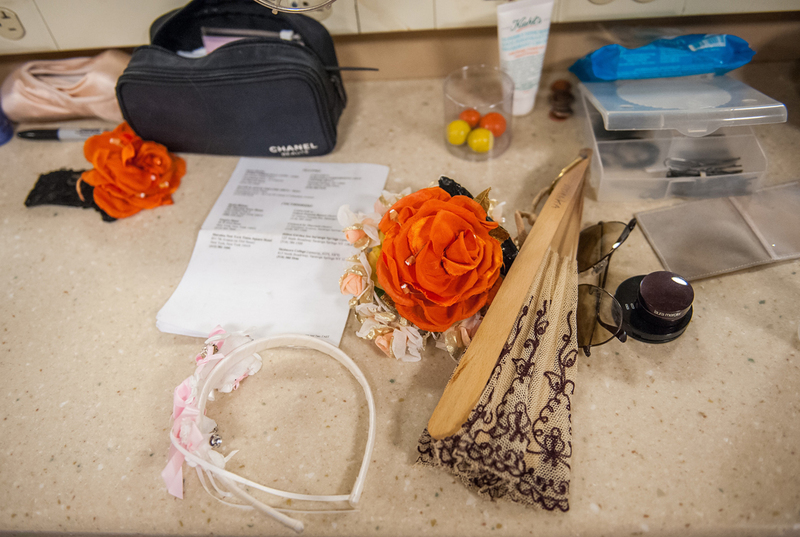 The costumes must be perfectly prepared for each performer. During tours the team is even more united. In the ballet academy dancers are taught to put on their makeup. Of course the more difficult makeup and hairstyles are created by professionals. Let's say that you need to put on a nose. 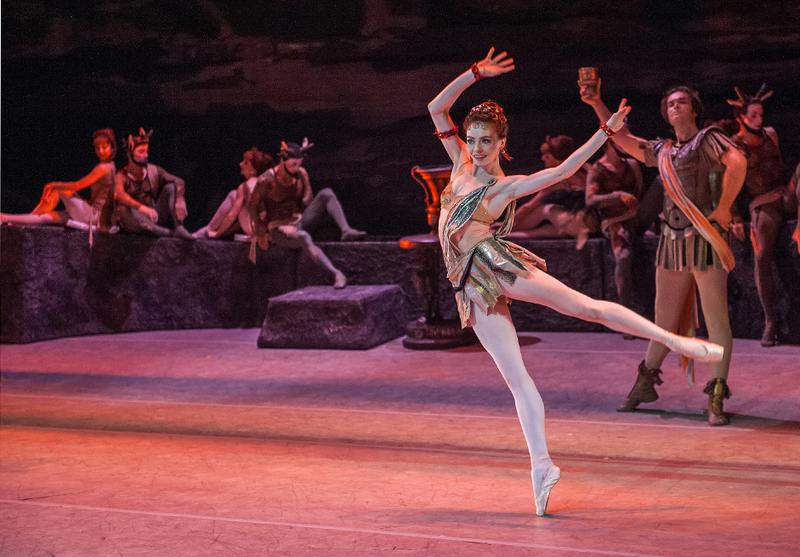 If the performance begins at 8 p.m., then at 5 p.m. the makeup artists start working on the soloists, at 6 p.m. it is the female corps de ballet's turn. An hour and a half before the performance they make up the male soloists and an hour before - the male corps de ballet. 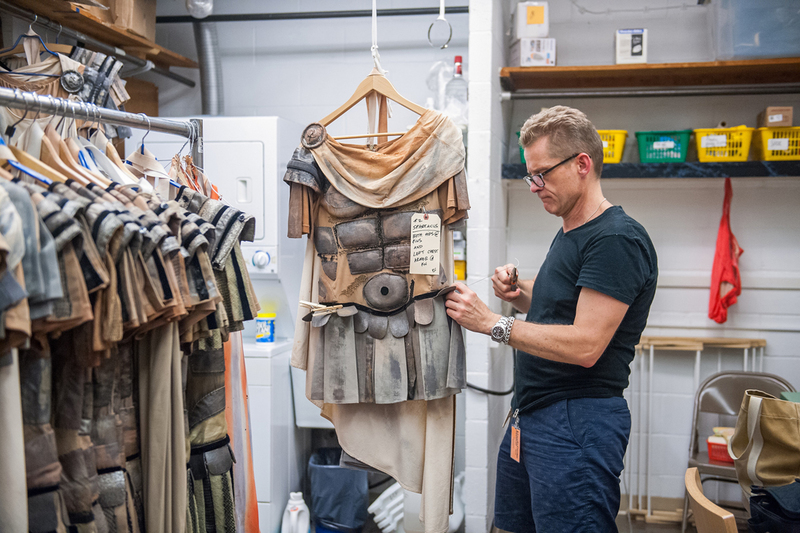 “How do we work with local teams when it comes to taking care of costumes during touring? The first days are always about getting to know each other: understanding the language, understanding how the other works. But our common profession unites us, and usually by the end of the tour the local staff knows a few Russian words and some slang. "Americans, for example, have learned chyut chyut (a bit). For instance, it's not necessary to iron the costume so heavily, just chyut chyut. By the end of the tour the team begins speaking one language and we all understand each other very well. Humor helps to relieve tension."